Care One Hospice’s Vision and Care. At Care One Hospice we are committed to being a world class organization offering the highest quality care to our patients. Our dedicated team members are experts in pain management and in providing care, support and counseling for patients of all ages with terminal, chronic or life-limiting illnesses, while supporting and comforting their families and caregivers. Bringing comfort to patients with life-limiting conditions, and their families, is more than our calling—it’s a way of delivering care that addresses the needs of the whole person at a serious time of life. Whether comfort takes the form of physical, emotional or spiritual care, our multifaceted team is ready to provide comprehensive hospice services to every person in our community who needs and wants them. 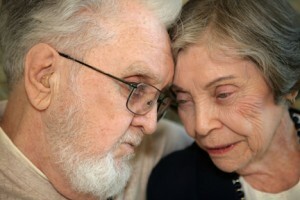 Contrary to what many people think, hospice is a not a physical place, it is a service. Care One Hospice team members visit patients wherever they call home – a family residence, nursing or residential facility, or the hospital. Hospice care is designed to help reduce both the physical pain and emotional suffering of patients during their final stages of illness. At the heart of hospice is the belief that every person has the right to die pain free and with dignity. It is about living life to its fullest, up to the final moment. It is about receiving comfort and care when a cure is no longer possible. It is about surrounding a patient and their loved ones with medical, emotional and spiritual support. We see the individual as more than a physical body and our skilled professionals and volunteers design an all-encompassing program, individualized to each patient that addresses not only the physical needs but also the emotional and spiritual needs of patients and their families. Counseling and education about disease management and the dying process are provided to the family unit in conjunction with patient care. Licensed by the State of California, Care One Hospice is Medicare and Medi-Cal certified and accredited by the Accreditation Commission for Health Care (ACHC). Care One Hospice’s purpose is to provide the highest quality hospice and support services to individuals and families. 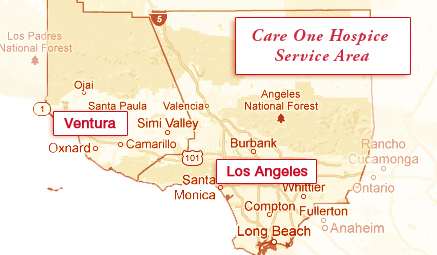 Care One Hospice’s vision is to be the hospice provider of choice in Los Angeles and Ventura counties. We continue to work to make a significant impact on families, as hospice patients feel comforted, supported and able to experience an enhanced quality of life surrounded by those they love. Get in touch with us, we're always there to help.